In our last post, we reviewed what Medicare is, who is eligible, what the costs for Medicare Part B are, and what benefits are provided with Part A and B. While Original Medicare provides good benefits, there are substantial costs Medicare beneficiaries face. The Part A deductible and per day co-payments, Medicare Part B’s 20% co-payment, and the potential overcharge that doctors may apply, can add up to devastating out of pocket costs. There are several ways Medicare beneficiaries can cover the “Gaps” in Medicare Coverage. Medicare supplement policies, sometimes referred to as Medi-Gap plans, are a traditional insurance product many Medicare beneficiaries choose to purchase to cover the gaps in Medicare. Medicare Supplements policies have different benefits levels. Some plans cover just the Part A co-payments and the Part B 20%, while other polices cover all the gaps in Medicare. Medicare Supplements plan designs are given a letter to designate the plan coverage. Currently plans are lettered A-N with plan F being the highest level of benefits. Most Medicare Supplement plans allow covered individuals to visit any doctor in the United States that accepts Medicare. This allows covered individuals the freedom to choose their doctor or hospital, in addition puts members in charge of their medical care. Medicare Supplement plan rates are based upon age and can increase as the member gets older. The average monthly cost for the Plan F Medicare supplement for a 65 year old Medicare beneficiary is $170.00 in 2016. New Medicare supplement plans do not cover prescription drugs. Medicare supplement plan members will need to purchase a separate prescription drug plan and will need to continue to pay their Medicare Part B premiums. Medicare beneficiaries can apply for a Medicare Supplement plan on a guaranteed issue basis (automatic acceptance) 3 month’s prior, the month of, and three months after they turn 65; also they can opt into Medicare Part B. Members who decline Medicare Part B initially and opt in at a later date also have 60 days to apply for a plan on a guaranteed issue basis. If a Medicare beneficiary chooses to enroll in a Medicare Supplement without meeting the guarantee issue requirements, they must be healthy enough to pass underwriting or they will be declined coverage. In the early 2000’s, the Government recognized that many Medicare Beneficiaries who were unable to afford a Medicare supplement plan were facing high out of pocket costs on Original Medicare. In order to provide relief to these Medicare recipients, the Medicare Advantage Program was expanded to include contracted health plans that Medicare beneficiaries could opt into at little to no cost. 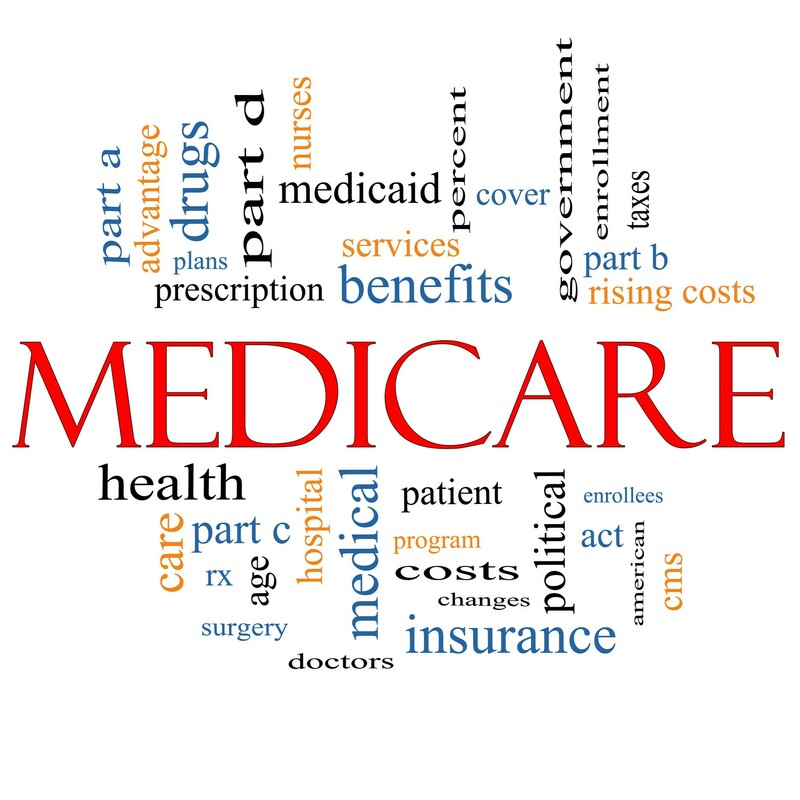 Medicare Advantage (MA) Plans and Medicare Advantage Prescription Drug (MAPD) plans, also referred to as Medicare Part C, follow the managed care health plan model, HMO or PPO, and are provided by private insurance carriers. Many Medicare Advantage plans cover prescription drugs and also provide additional benefits such as dental and vision coverage. Medicare Advantage HMO plans require members to choose a primary care doctor and use a specific medical group. Members in most cases will need to see only doctors within their medical group; the medical group will also have specific hospitals and facilities members will be required to use. Some Medicare Advantage HMO plans will require members to obtain permission from their primary care doctor before seeing a specialist, which is known as a referral. Most Medicare Advantage HMO plans provide members with very low co-payments when seeing a doctor, completing tests or x-rays, and going to the hospital. Plan benefits vary from carrier to carrier, but most plans provide doctor co-payments at under $15.00, plus provide prescription drug coverage at no additional plan cost. Many Medicare Advantage HMO plans have no premiums. This means members pay nothing for the plan benefits. Members will need to continue to pay their Medicare Part B Premiums. Medicare beneficiaries can apply for a Medicare Advantage HMO plan on a guaranteed issue basis (automatic acceptance) 3 month’s prior, the month of, and three months after they turn 65 and opt into Medicare Part B. Members who decline Medicare Part B initially and opt in at a later date also have 60 days to apply for a plan. Members can also change their Medicare Advantage HMO plan every year during the Medicare open enrollment, normally October 15th through December 7th with a new plan start date of January 1st of the upcoming year. Medicare Advantage PPO plans provide members with the option of using doctors from a specific list, known as a Preferred Provider Organization or allowing members to see any doctor that accepts Medicare. When using doctors in the PPO list members will not need to obtain a referral to see a specialist. They may go to any doctor in the list of providers. Most Medicare Advantage PPO plans provide members with relatively low co-payments for services obtained within the Preferred Provider Organization. Medicare Advantage PPO plan members may also go outside of the PPO plan network and see any doctor or medical provider covered by Original Medicare. Members using a provider outside of the network will pay higher costs when seeking care. All Medicare Advantage PPO plans have an out of pocket maximum, a limit that the member will pay per year. Plan benefits vary from carrier to carrier, but most plans provide doctor co-payments at under $35.00, plus provide prescription drug coverage at no additional plan cost. Most Medicare Advantage PPO plans have a monthly premium; these costs vary from plan to plan and by location. Most premiums are over $100.00 per month. Medicare Advantage PPO plans are not available in all areas. Medicare beneficiaries can apply for a Medicare Advantage PPO plan on a guaranteed issue basis (automatic acceptance) 3 month’s prior, the month of, and three months after they turn 65 and opt into Medicare Part B. Members who decline Medicare Part B initially and opt in at a later date also have 60 days to apply for a plan. Members can also change their Medicare Advantage PPO plan every year during the Medicare open enrollment, normally October 15th through December 7th with a new plan start date of January 1st of the upcoming year. Stand Alone Prescription Drug Plans. Stand Alone Prescription Drug Plans (PDP plans) also known as Medicare Part D are plans that provide Medicare beneficiaries who have either Original Medicare a Medicare Supplement, or in some rare cases a qualifying MA plan, prescription drug coverage. 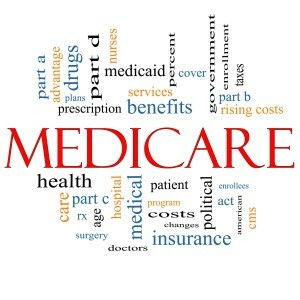 Medicare PDP plans are sold by private companies and have various benefits. Most plans have several different tiers of medication coverage. Lower cost generics are usually covered with little to no co-payments, while higher cost brand name drugs can cost much more. All plans have a Formulary list, a list of covered medications. Prior to choosing a PDP plan, members should review these Formulary lists. In most cases Medicare beneficiaries have many different plan carriers and options to choose from. Plan costs vary by company and coverage, but the average cost for a PDP plan is around $30.00 per month. Medicare beneficiaries can apply for a PDP plan on a guaranteed issue basis (automatic acceptance) 3 month’s prior, the month of, and three months after they turn 65 and opt into Medicare Part B. Members who decline Medicare Part B initially and opt in at a later date also have 60 days to apply for a plan. Members can also change their PDP plan every year during the Medicare open enrollment, normally October 15th through December 7th with a new plan start date of January 1st of the upcoming year. Members are encouraged to sign up for a PDP plan when they become eligible. If a Medicare Beneficiary chooses not to enroll in a Part D PDP plan and they do not have other prescription drug coverage that meets the standard benefits model, they may face a penalty when they do choose to enroll. Other Types of Medicare Advantage plans. There are many other types of Medicare Advantage plans, not all plan designs are available in all areas. HSA plans, also known as Health Savings Accounts are plans that allow members to use money saved in a special account to pay for medical care up to a certain point before the plans steps in to cover the remaining costs. Special Needs plans, also known as SNP Plans are Medicare Advantage plans for individuals who have chronic medical conditions such as diabetes, heart disease, or a combination of medical conditions of the like. These plans are designed to help meet a member’s special needs, coordinate care between medical providers, and provide lower co-payments and charges for medical care. If you have any questions regarding coverage options or need additional information, please don’t hesitate to contact us. As a reminder Medicare Beneficiaries are now in the Open Enrollment period and now is the time for Medicare members to make changes or add benefits.